As the professionals perform water damage restoration services for different types of materials, the concrete receives special attention in order to be effectively restored and protected against future damage. 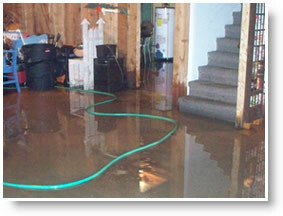 It is often assumed that the cement in the basement has dried as soon as the walls and personal belongings are dried. Unfortunately, this is not the case as there are underlying properties that make it more complex in drying efficiently and effectively. While wet concrete can destroy new floor covering due to the underlying condensation, many contractors are not aware of this; this can create further problems in the future. But a licensed water extraction company would know that the water must be completely extracted from the concrete in order to install new floor coverings or carpeting. These devices are unique in removing the trapped moisture from within the cement. The moisture will be effectively evaporated through containment chambers. You can then reach optimal humidity levels by decreasing the amount of space volume. The technician will also use thermo-hygrometers in addition to non-evasive meters to determine proper humidity levels. As the concrete will soak up the water, humidity levels can reach the high 60’s. Depending on the amount of water that has penetrated through the concrete, additional drying may be required with the use of high-velocity air movers. This may also require temporarily removing the boundary layer from the top of the cement in order to maximize efficiency for drying. The use of dehumidifiers play also a large role in the drying process. In addition, the water damage cleanup technicians will also measure humidity levels to ensure that the spread of damage is contained. 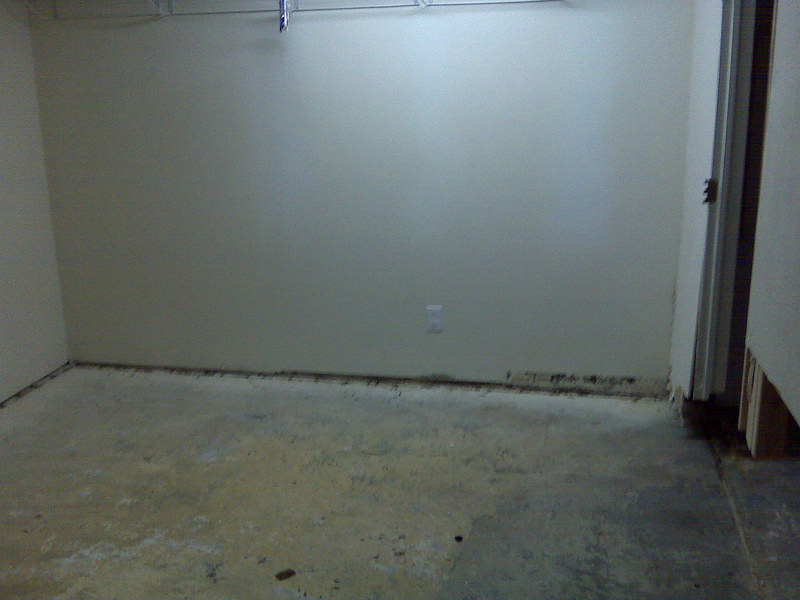 But once the drying process is complete, the concrete is ready for new floor coverings (i.e. carpeting). Keep in mind that you will need to hire separate contractors in order to install the new flooring, ensuring that the subfloors are in proper condition to be covered. You can also learn how to protect your property from future damage by following these water damage prevention tips. However, if you have already experienced significant water damage on your commercial or residential property, contact your local ServiceMaster office. They will be able to effectively clean and restore the affected materials and ultimately return them to their original conditions.